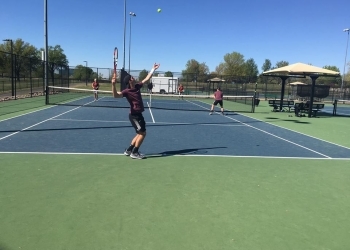 The Nowata Tennis team saw its best results of the season in a Thursday tournament at the Case Tennis Center at LaFortune Park in Tulsa. The Boys team took second place overall in the event. The Doubles duo featuring junior Dillon Barnes and senior Gadge Littlefield won their first tournament as a pair. The girls’ team also posted its best result of the year with an appearance in the consolation finals.